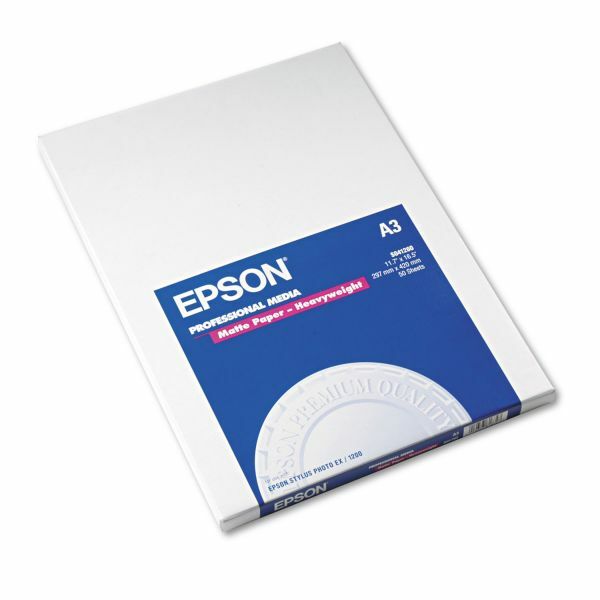 Epson Premium Matte Presentation Paper, 9 mil, 11 3/4 x 16 1/2, Bright White, 50/PK - Premium Presentation Paper delivers long-lasting photographs with a matte finish. With its heavyweight, bright white, ultra-smooth finish, this paper is perfect for nonglare photographs, black/white photos, craft projects and signage. Long-lasting prints preserve your treasured memories. Paper is compatible with inkjet printers.